Just like that model, the Razer Core X is compatible with any Windows notebook with a Thunderbolt 3 port – not just a Type-C port compliant with the Display Port standard. The Core X with a discrete GPU should amp up any plain notebook, and can greatly boost performance of gaming notebooks with the existing laptop-class GPUs. Moreover, the Core X will also allow you to hook up multiple displays to game on with ease. 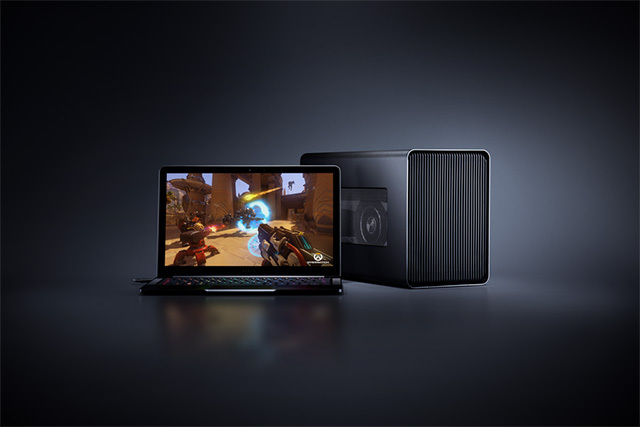 Design-wise, the Razer Core X features an expanded internal design with a wider aluminum shell to provide easy installation of any desktop-grade graphics card. The Core X supports all the latest desktop PCIe graphics cards, including Nvidia’s GeForce series, Nvidia’s Quadro series, and AMD’s XConnect enabled Radeon and Radeon pro cards. 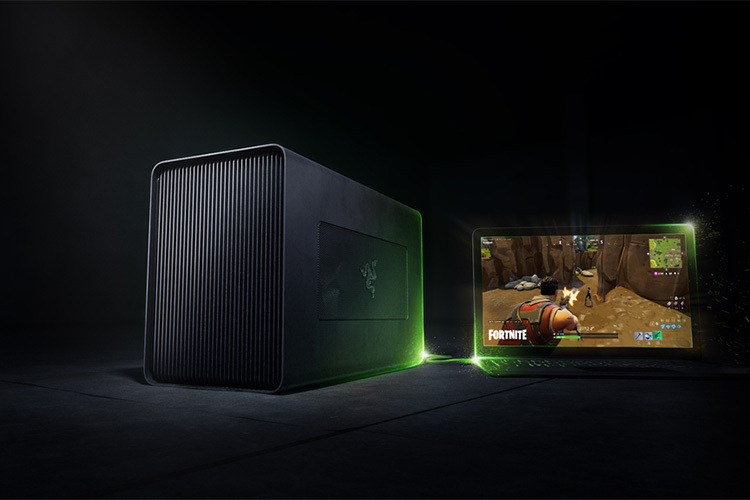 The Razer Core X offers plug-and-play capabilities with the Thunderbolt 3 connection to the laptop, which doesn’t require any reboots. The Thunderbolt 3 connection also supports the full 40 Gbps bandwidth, so you won’t have any issues with latency or throttling. 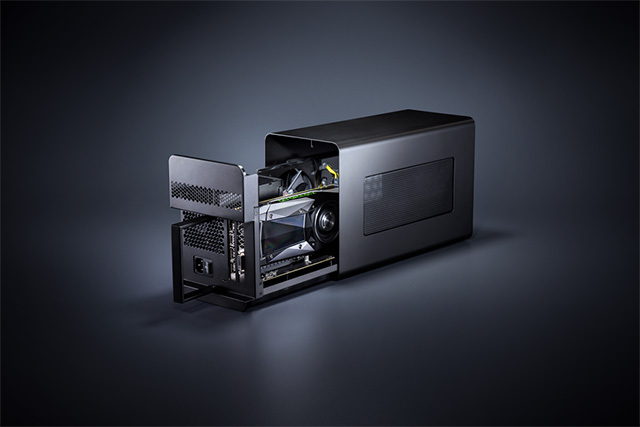 The Core X houses a 650 Watt ATX power supply which can provide enough power for even the most demanding graphics cards and if the notebook supports charging over USB-C, the Core X can also provide 100 Watts of power for laptop charging. The Razer Core X is available for purchase at $299 in the US, Canada, UK, France, Germany, China, and will soon start shipping to the Nordic countries, Australia, Hong Kong, Japan, Singapore, and Taiwan. The company has revealed no pricing or availability information for the Indian market.